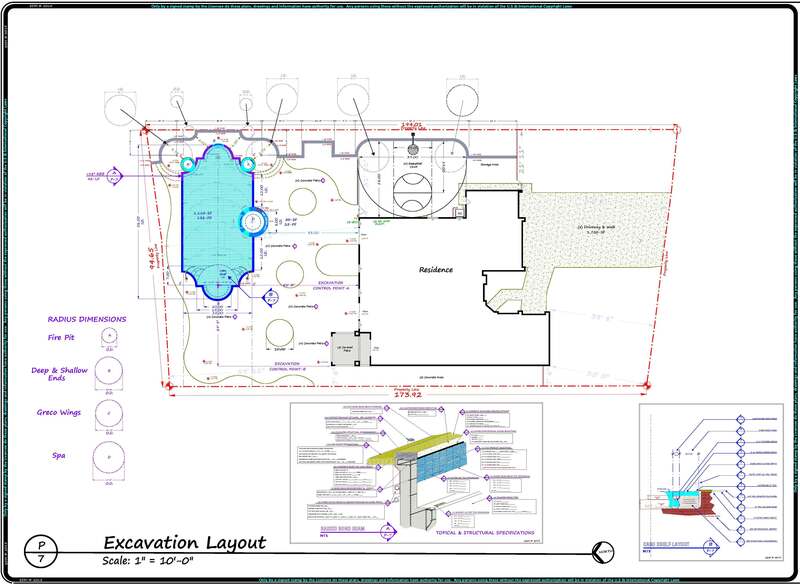 One of the most important steps to building a swimming pool is to perform an accurate layout. This is the last opportunity to double check the planned intentions against the physical constraints of any existing conditions. Getting it wrong from this step forward can have serious consequences and if construction progresses under the assumptions that the layout was done correctly when in fact it wasn’t, then everything from those efforts forward will result in the same. 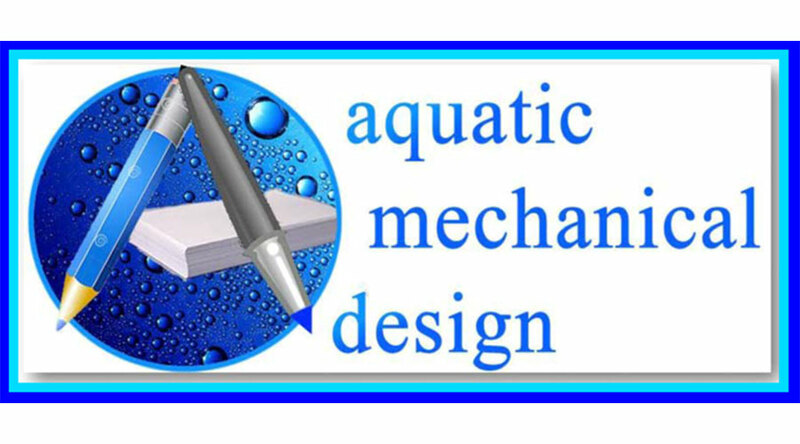 Many properties will have building restrictions such as Public Utility Easements (PUE’s), Pool Structural Shell Set-Backs, Pool Equipment Set-Backs and other restricted areas for building a swimming pool. 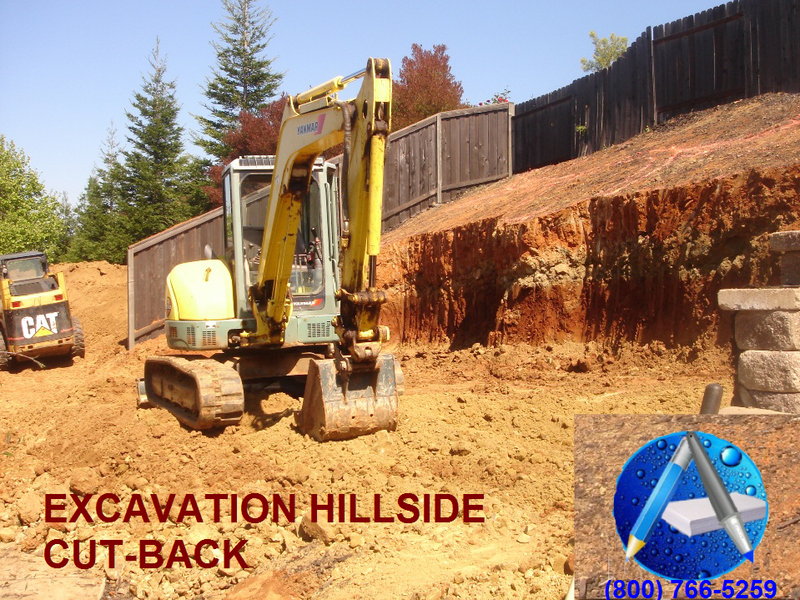 Although these can be clearly depicted on plan, an experienced set of knowledgeable eyes can bring a seasoned understanding for how to interpret the site’s existing conditions that may not actually authenticate where a property line is located. 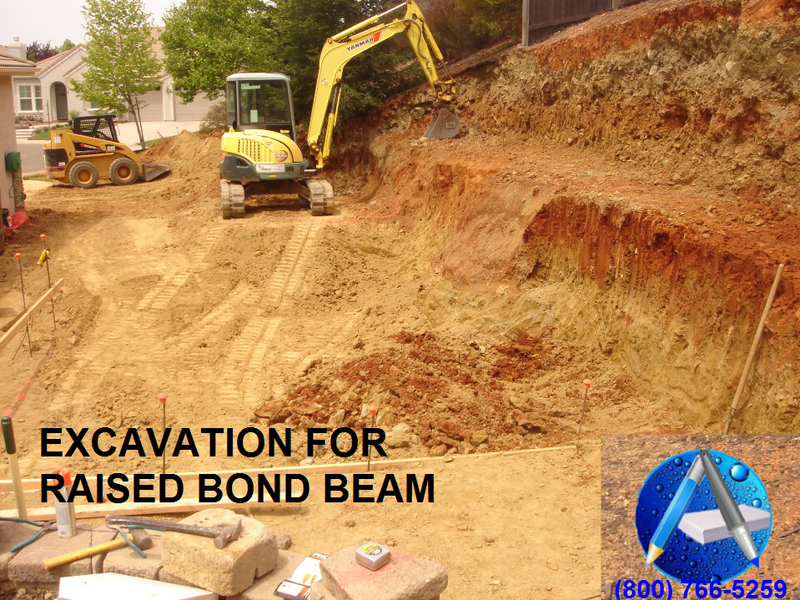 Whether it is understanding for the site’s topography in relationship with the objective being sought for the finished Bond Beam elevations or it’s making sure that the site’s overland flow has accommodated a properly inverted swale that will be able to handle the peak storm run-off, many elements can pertain. Only through a well seasoned field exposure can the benefits of experience play a role in achieving the ultimate successful results. 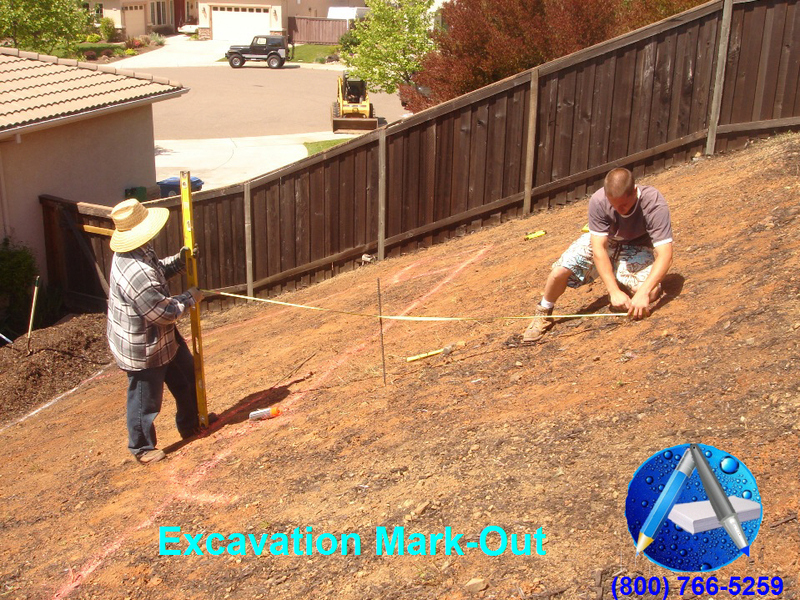 If any of the seven inspections are most needed, then it would be to make absolutely certain that in moving forward that your project’s planned layout for the horizontal position, latitude, longitude and elevation coordinates all culminate into a harmonious convergence long before the investment of time, money and effort become focused upon ill gotten performances.